Author: Gibbs, D., & Peacock, A.
Citation: Gibbs, D., & Peacock, A. (2018). 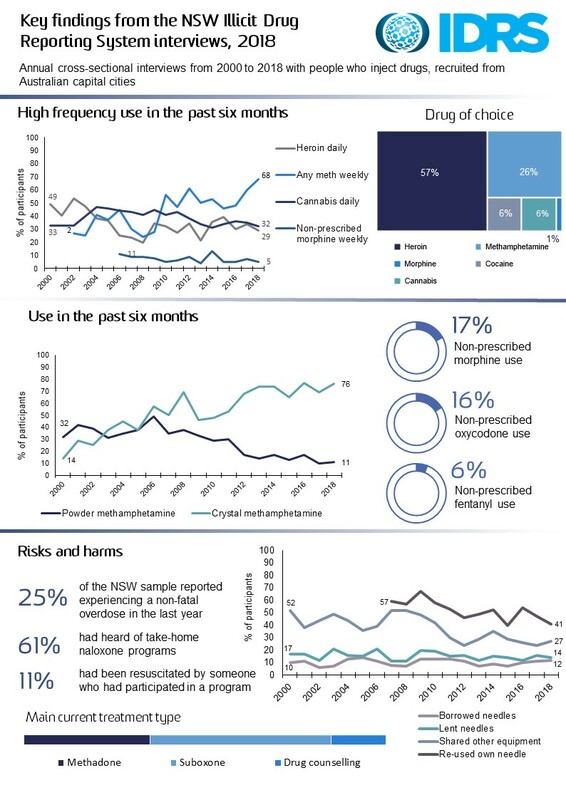 New South Wales Drug Trends 2018: Key findings from the Illicit Drug Reporting System Interviews. Sydney, National Drug and Alcohol Research Centre, University of New South Wales.